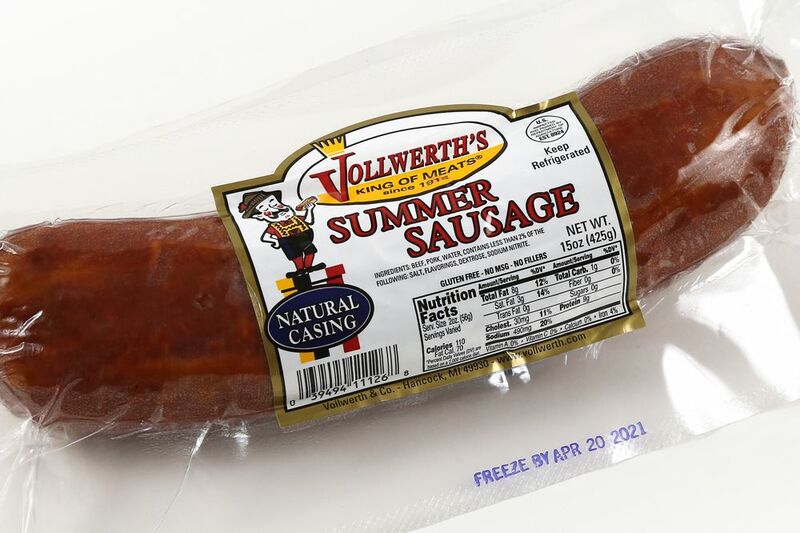 Our Natural Casing Summer Sausage is a great product for all occasions. One of our best selling products. Made with lean meat with half the fat and sugars of other brands. Beef, Pork, water, calcium reduced dried skim milk, salt, flavorings, dextrose, monosodium glutamate, sodium erythorbate, sodium nitrite, in a beef middle.